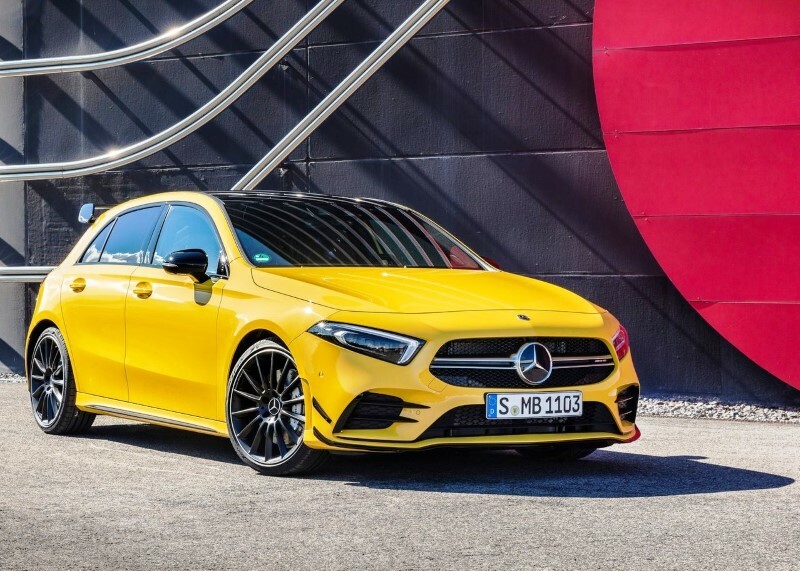 Here is The baby Beast Mercedes-AMG A35 4Matic. With 306 hp the most gritty of the Mercedes A-Class has breathtaking performance and, for a sport, a good comfort. Uncomfortable, however, some commands and the equipment is to be integrated. 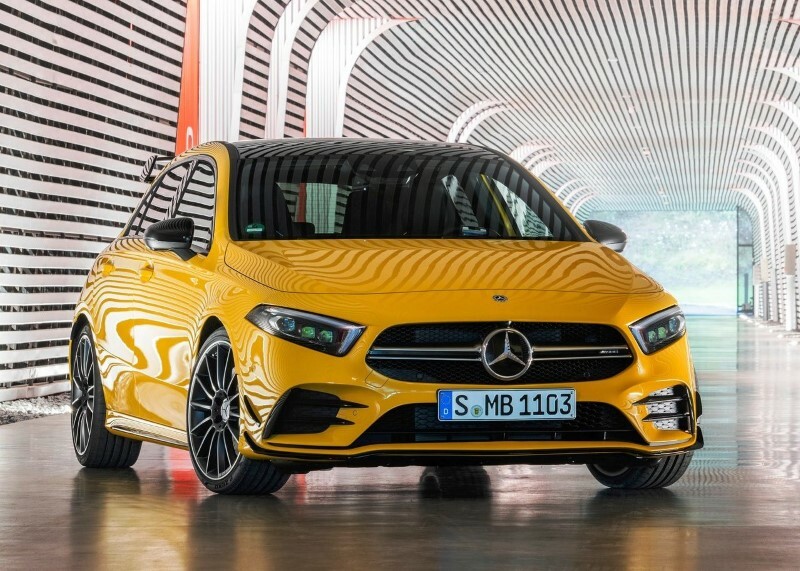 In the hands of the technicians of the AMG sports department, the Mercedes A-Class has become a beast of 306 horses, which glues to the seat with lightning accelerations. But, it is still a Mercedes and, for a sports car, comfort is surprising. 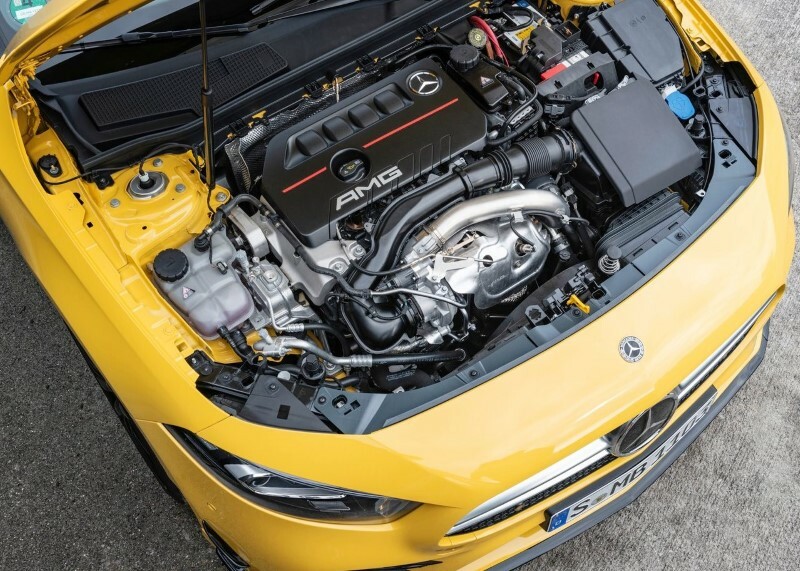 The “heart” of the Mercedes-AMG A35 4Matic is the 2.0 four-cylinder turbo, combined with the seven-speed automatic gearbox. Normally the traction is in front: if required, an electronically controlled clutch can transfer up to 50% behind. 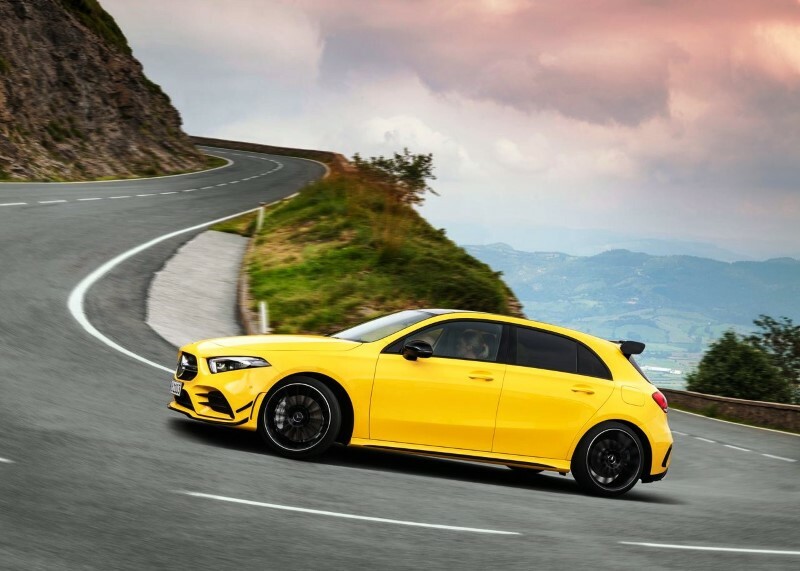 The fluid lines remain those of the less powerful versions, but the AMG sports bumper more muscular and, with the Edition 1 package (8,034 euros), a showy flap on the tailgate and black wings on the sides of the front bumpers. 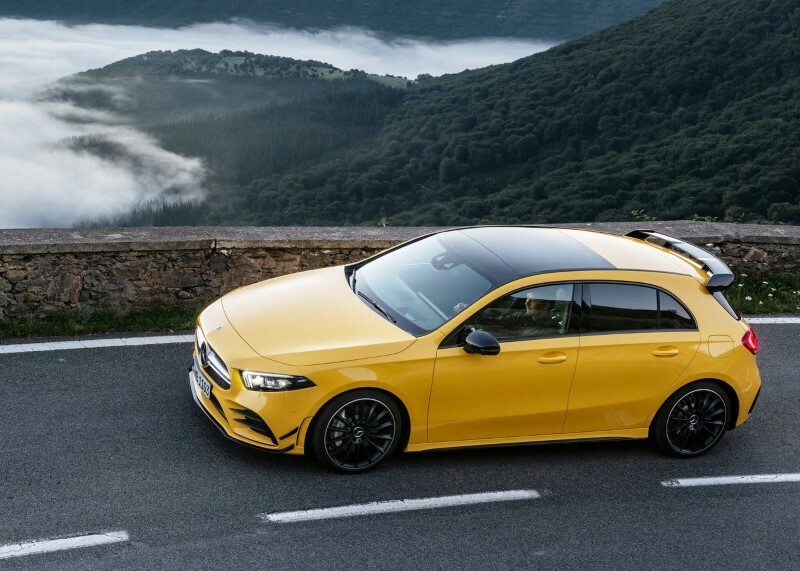 Already on sale, the Mercedes-AMG A35 4Matic costs € 47,000, including full-led headlights, navigator, 225/45 R 18 tires and a rear-view camera. However, considering the price, it is amazing to have to add 305 euros for Android Auto and Apple CarPlay, 244 euros for the Dab radio and 1,842 euros for monitoring the blind spot in the rear-view mirrors (in the Driver assistance package). 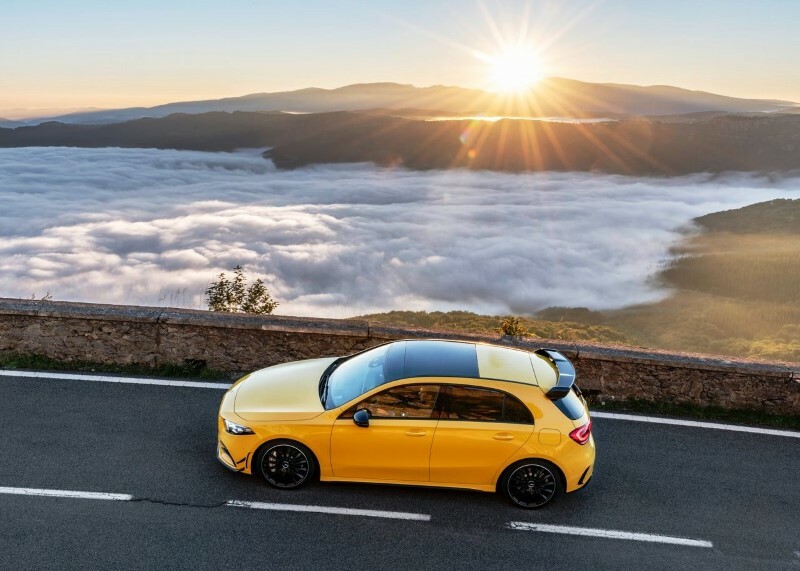 Modern like few others and carefully finished the interior of the 2020 Mercedes-AMG A35 4Matic will not be the most spacious (discrete, however, the habitability), but makes a great scene. The merit goes to the two monitors 7 “(for 549 euros of 10.25”) inserted in a single rectangular element embedded in the dashboard (all resembles a maxi tablet), where the commands and onboard services are grouped together. The screens display a wide variety of information but require a minimum of apprenticeship to use them correctly via the tactile surface between the seats or with the extensive voice commands. A gem augmented reality (305 euros) for the navigation system: when approaching a detour, it shows on the screen the images taken by the front camera of the car, highlighting the road signs and the trajectory to follow. 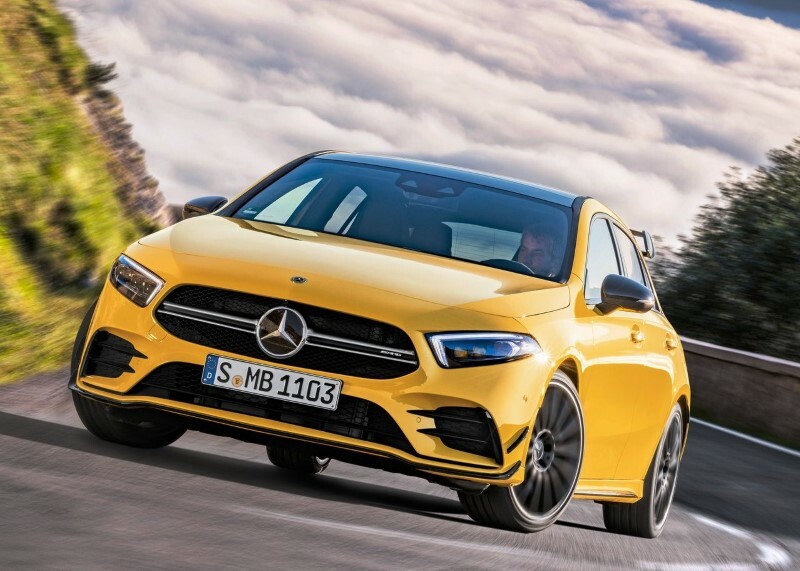 And for those who want to have fun on the track, with another € 305 there is the AMG Track Pace: it can memorize a circuit (always showing it in the monitor) and take lap times, also giving tips to improve performance. However, in certain lighting conditions, the screens are not reflective free. Another inconvenience, the keys: the handbrake, located on the left side of the dashboard, is not reachable by the passengers and that of the “four arrows”, in the center of the console, can be confused with the others. On the other hand, the two keys and the wheel (427 euros in total) are incorporated into the steering wheel to manage, in Formula 1 style, the five driving modes and, if present, the three electronically controlled suspension settings (1,208 euros). The Edition 1 package also includes comfortable, more enveloping seats, with removable thigh support, and a more shaped sofa, with headrests, integrated into the backrest, which, however, reduce visibility. The unequaled capacity of the trunk (380 liters per sofa on). 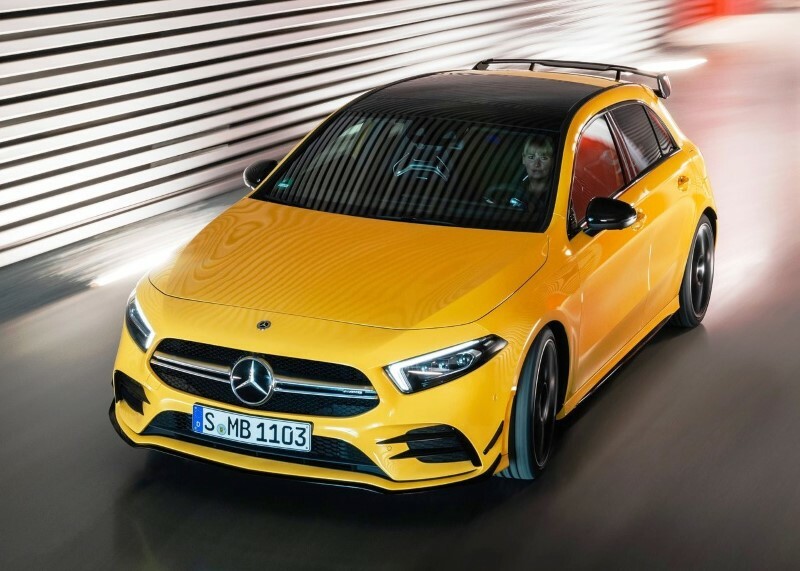 Just 4.7 seconds for the “0-100” and 250 km/h top speed are sporty doc numbers, which seem to us within reach of the 2020 Mercedes-AMG A35 4Matic. What the data does not say, is the ease with which this five-door allows you to achieve significant performance. Stable and with a full-bodied road holding (also thanks to the 235/35 R 19 tires in the Edition 1 package) the car is sincere in its answers. The steering, not too heavy and direct, is precise and the automatic transmission (with levers behind the steering wheel) fast (even if, sometimes, it would be even faster). In addition, the electronically controlled suspension of the test car minimizes roll and ensures good absorption of road bumps. One aspect, that of comfort, not foregone for a car of this type, which is also appreciated for the accurate soundproofing. Of course, the full-bodied turbot coming from the exhaust system is very present in the acceleration phases, but in a sport, it is only a pleasure. As for consumption, on extra-urban routes, partly faced with grit and partly relaxing, the onboard computer calculated an average of around 7 km/l.